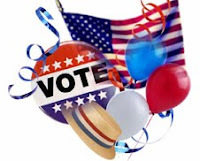 Columbia County Democrats: A Rough Night for Incumbents - Crucial Races Too Close to Call. A Rough Night for Incumbents - Crucial Races Too Close to Call. Election 2009 has proven to be rough on incumbents of both parties. On the Democratic side Doug McGivney of Kinderhook, Phil Williams in Livingston and George Jahn have lost their bids for re-election. Republican Thom Dias in Ancram has apparently lost to Art Bassin. Democrats, Raymond Staats in Clermont and Meg Robertson in New Lebanon were re-elected. In a big pick-up for the Democrats, Ed Nabozny has won handily in Greenport. Democrat Robin Andrews has a slim lead in the race for Supervisor in Claverack. The race in Stuyvesant is too close to call and in Taghkanic, due to a large number of absentee ballots, Loretta Hoffmann may still prevail over long-time Supervisor Betty Young. In Hudson, Supervisors Edward Cross III and William Hughes Jr have won landslide victories in the 2nd and 4th Ward Supervisor races. Joe Finn is currently trailing Republican William Hallenbeck by 18 votes. We will post all re-canvass numbers as soon as they are available.